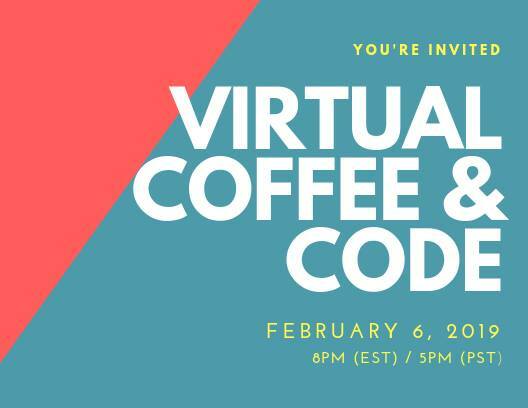 Please join us for a very exciting Coffee & Code on Wednesday, February 6th at 8pm EST, as we talk with Lauren Hasson the founder of DevelopHer. Salary negotiation is an essential skill, but negotiating isn’t always so easy. Come learn how Lauren tripled her base salary in less than two years and learned to negotiate with confidence. You’ll learn actionable steps you can take yourself to not only uncover your true market value, but also negotiate for the salary you deserve. Check out her website at www.developher.com, save the date, and be sure to join us!